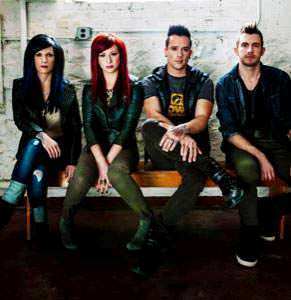 Skillet is an American rock band formed in Nashville, Tennessee, consisting of all Christian members. Skillet formed in 1996 with two members: John Cooper, former vocalist for Tennessee progressive rock band Seraph, and Ken Steorts, former guitarist for Urgent Cry. The two bands met through touring together, but those bands disbanded soon after, so John and Ken's pastor encouraged them to form their own band as a side-project. .